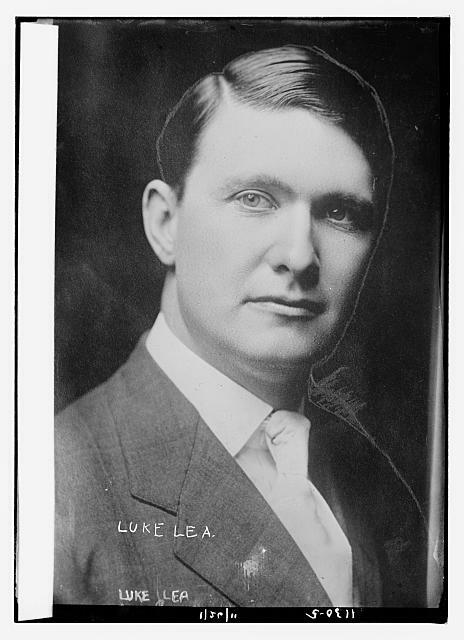 Luke Lea was a United States Senator from Tennessee. Convicted for bank fraud in North Carolina, Lea refused to return to North Carolina and instead sought habeas corpus relief unsuccessfully in Tennessee and then before the United States Supreme Court. Clarence Darrow, Arthur Garfield Hays and several co-counsel petitioned for Writ of Certiorari to the U.S. Supreme Court which was denied. See above the case of: State of Tennessee ex rel Lea v. Brown, 292 U.S. 638, 54 S.Ct. 717 (1934). Library of Congress Prints and Photographs Division, LC-DIG-ggbain-05633.